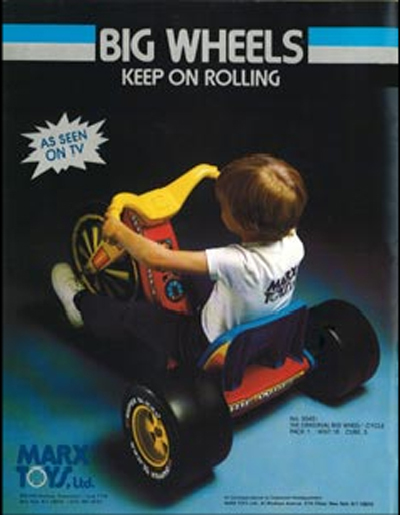 Here you'll find a gallery of Old School Big Wheel Pics pulled from the original Marx and Empire catalogs from 70's, 80' & 90's. 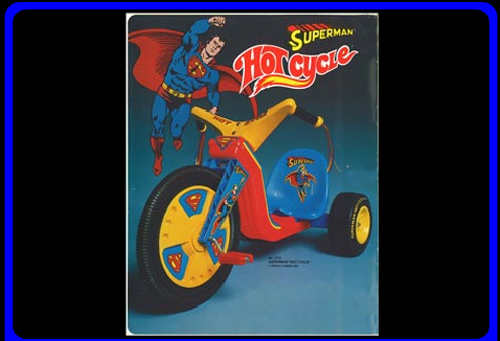 The Superman Big Wheel. 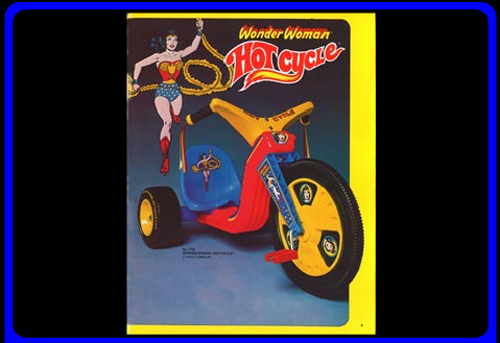 The Wonder Woman Hot Cycle. 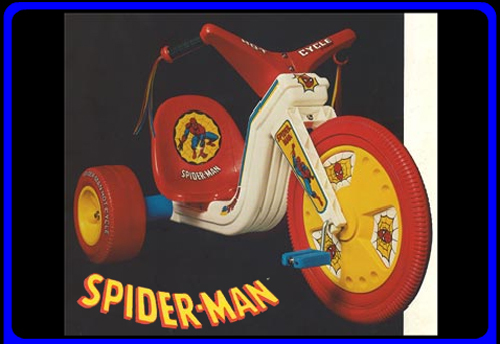 The Spiderman Hot Cycle. 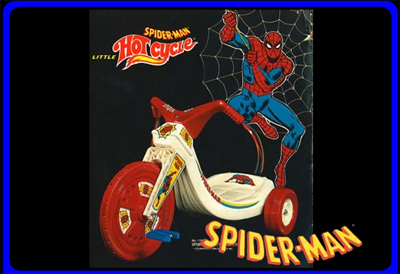 The Spiderman Little Hot Cycle. 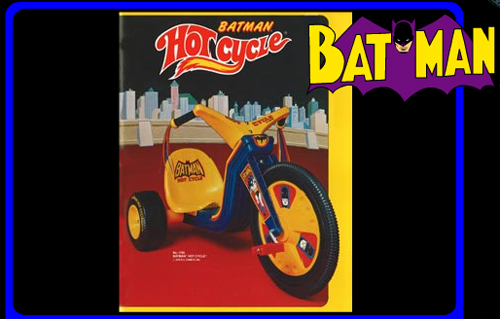 The Batman Hot Cycle. 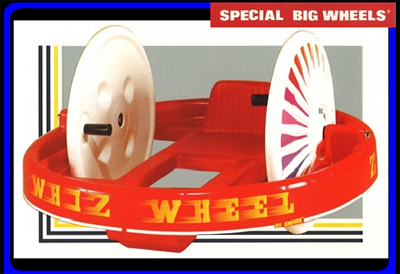 The Whiz Wheel Big Wheel. 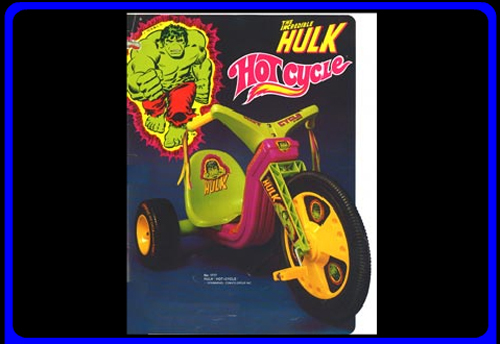 The Incredible Hulk Hot Cycle. 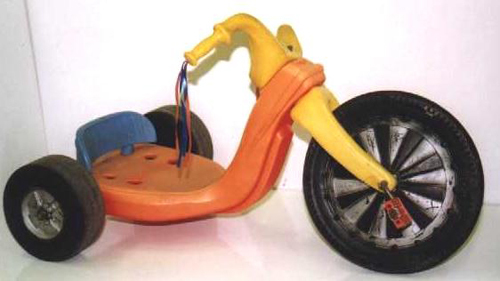 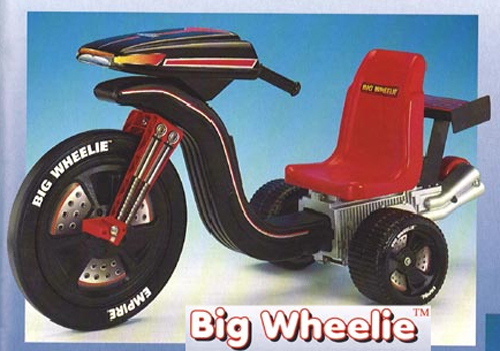 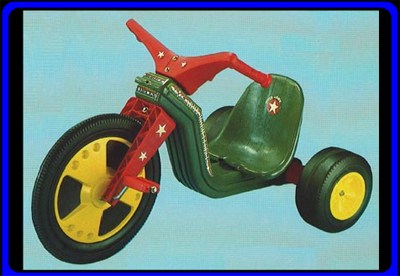 The Scoot-A-Long Big Wheel. 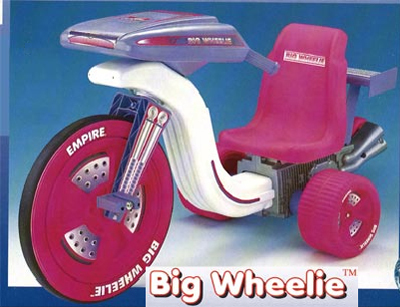 The Super Big Wheel. 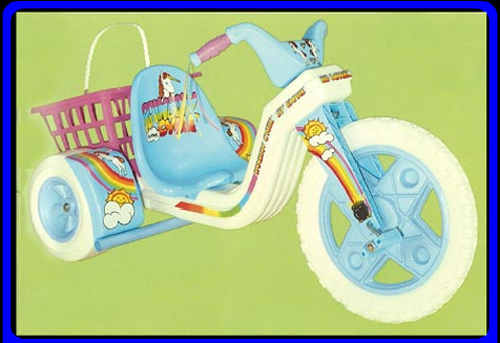 Classic Colors & Tassels. 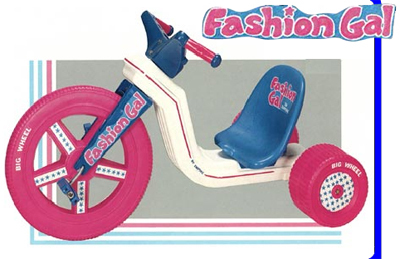 The Fashion Gal Big Wheel. 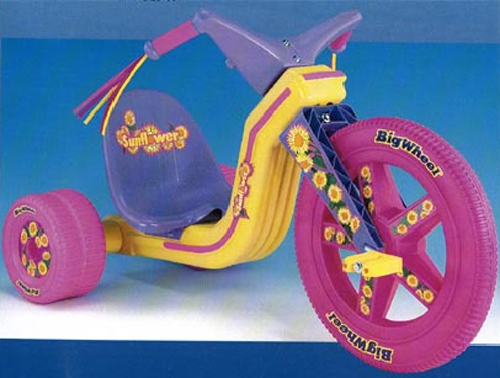 The Sunflower Big Wheel. 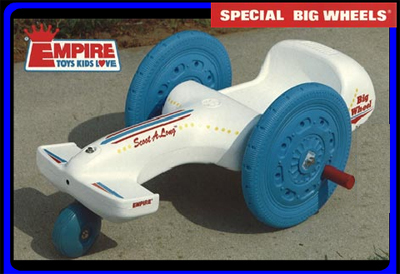 Aqua Blaster Big Wheel. 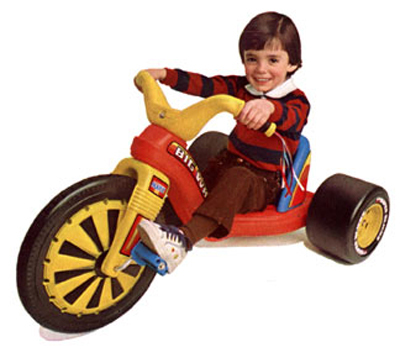 Armed with Electronic Water Gun. 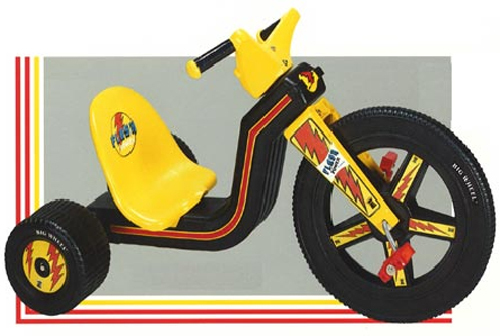 Flash Power. 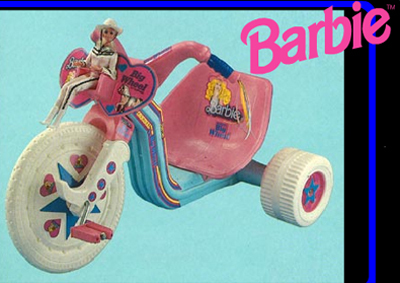 The Barbie Big Wheel. 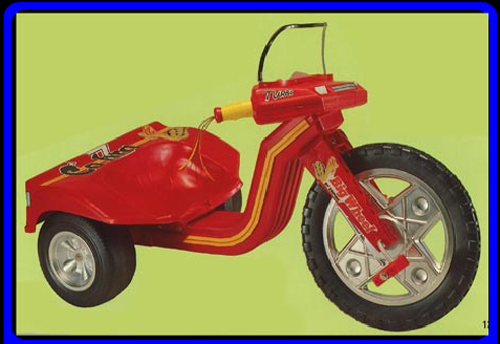 Fire Chief Big Wheel. 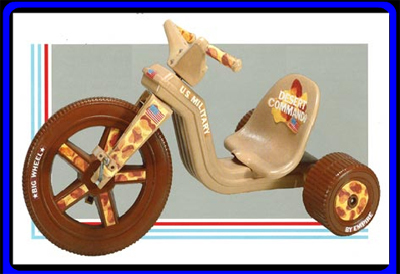 The U.S. Military Big Wheel. 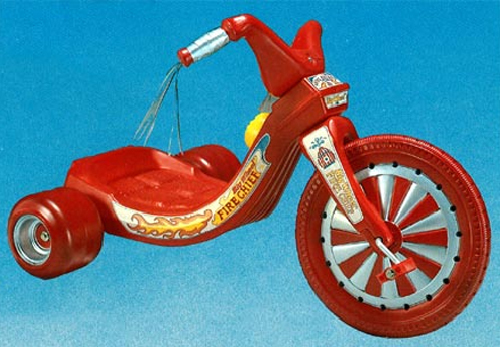 Fantasmic Warriors. 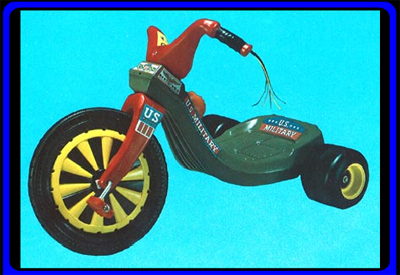 The U.S. Military Little Big Wheel. 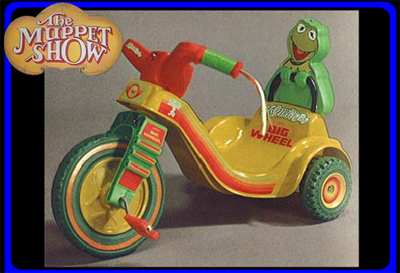 The Kermit The Frog Big Wheel. 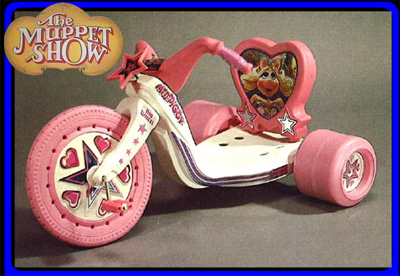 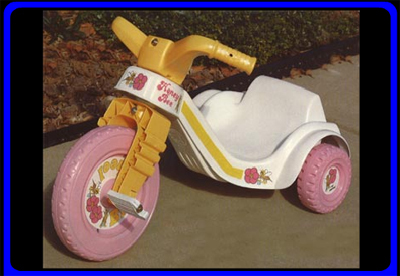 The Miss Piggy Big Wheel. 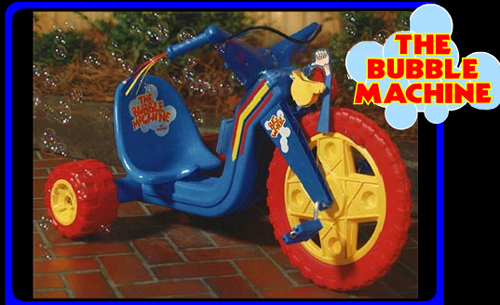 The Bubble Machine Big Wheel. 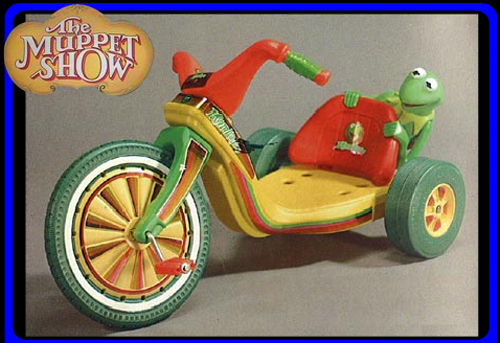 The Kermit The Frog Little Big Wheel. 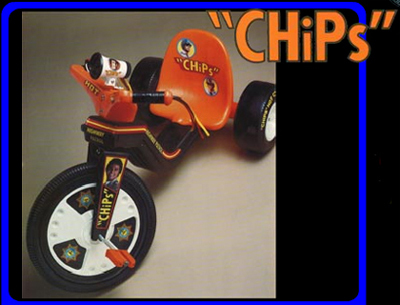 The "CHIPs" Big Wheel. 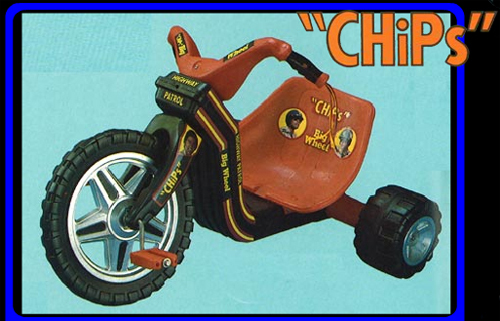 The "CHIPs" Big Wheel. 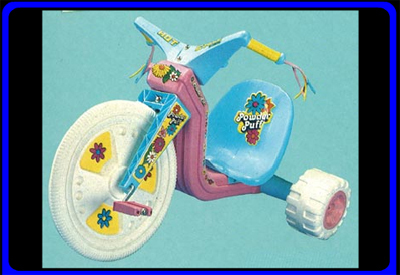 Officer Punch. 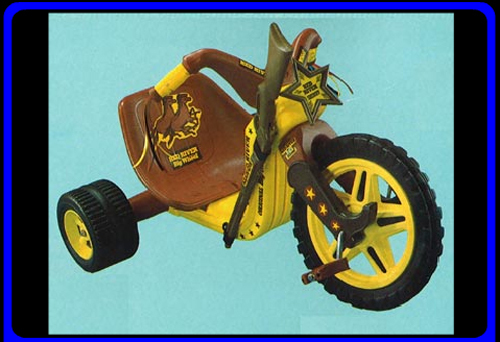 The Red River Sheriff Big Wheel. 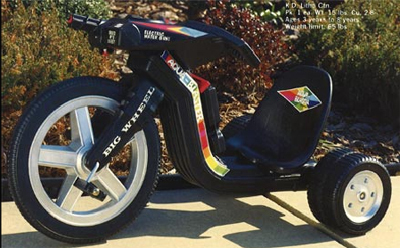 The Desert Commando Big Wheel. 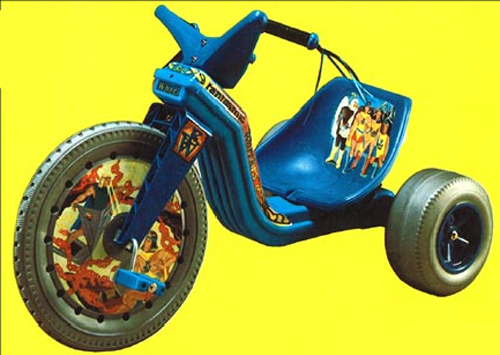 The Cobra Big Wheel. 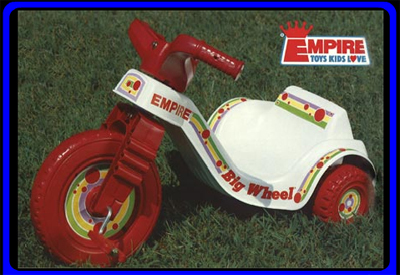 The Empire Little Big Wheel. 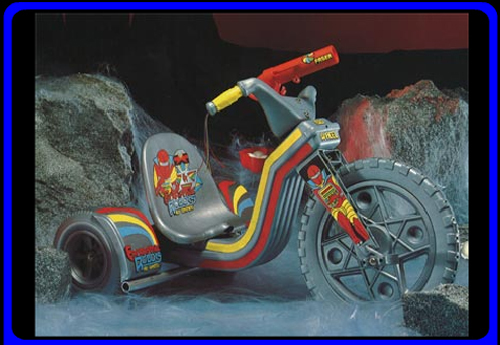 The Fantasmic Robots. 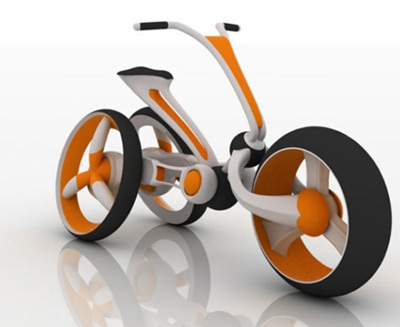 The Powder Puff Hot Cycle. 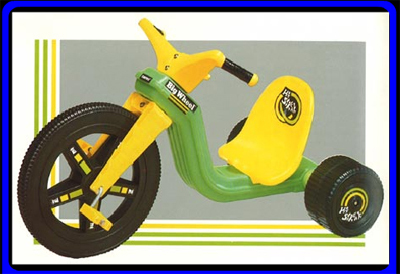 The Rainbow Cycle Big Wheel. 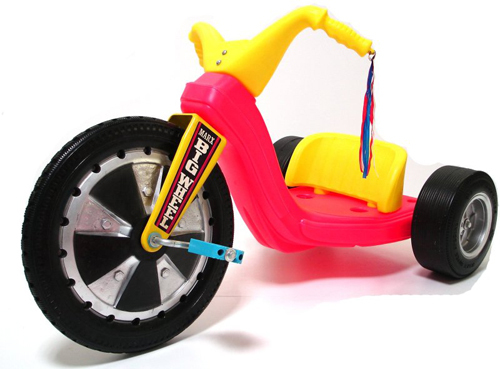 The Night Trax Big Wheel. 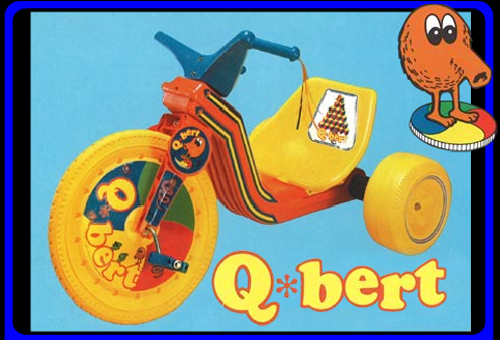 The Q*Bert Big Wheel. 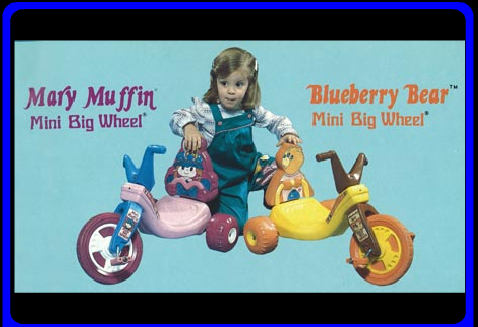 Marry Muffin & Blueberry Bear Little Big Wheels. 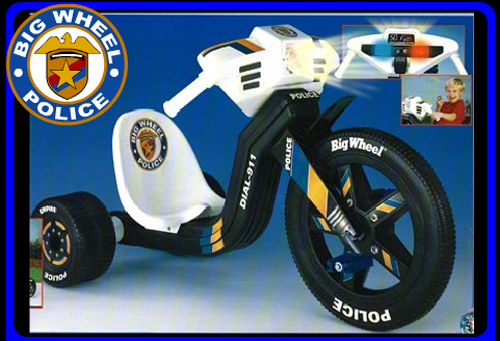 The Police Big Wheel. 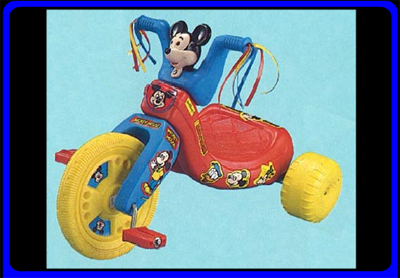 The Mickey Mouse Little Big Wheel. 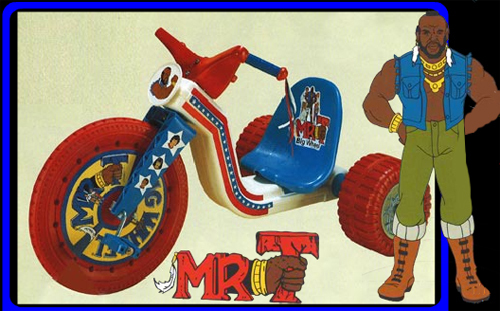 The Mr. T Big Wheel. 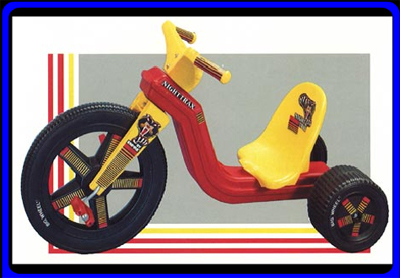 The Hot Streak Big Wheel. 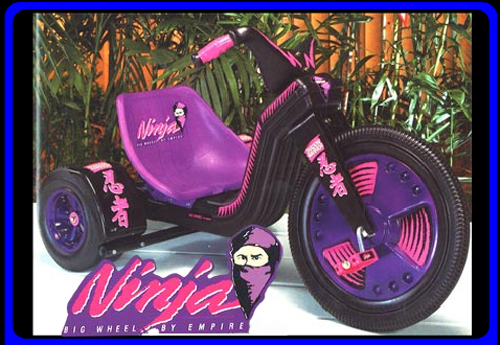 The Ninja Big Wheel. 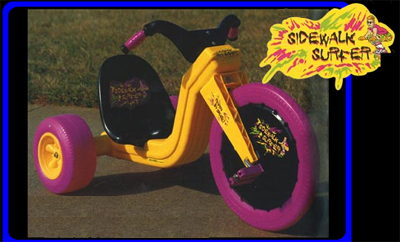 The Sidewalk Surfer Big Wheel. 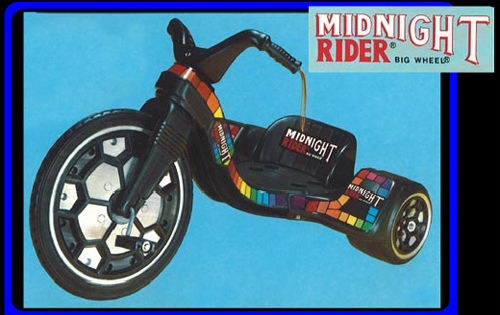 The Midnight Rider Big Wheel. 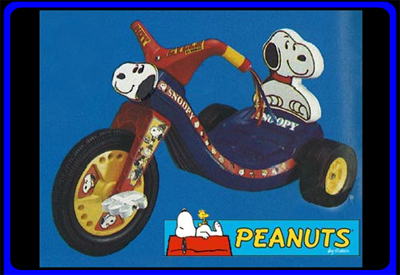 The Snoopy Hot Cycle. 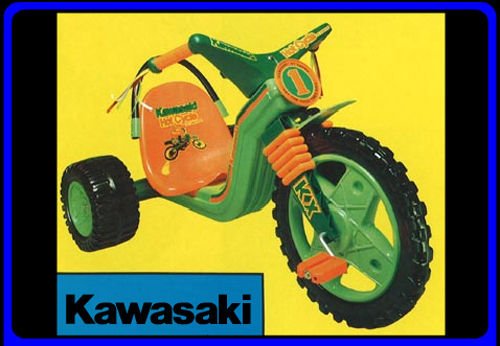 The Kawasaki Hot Cycle. 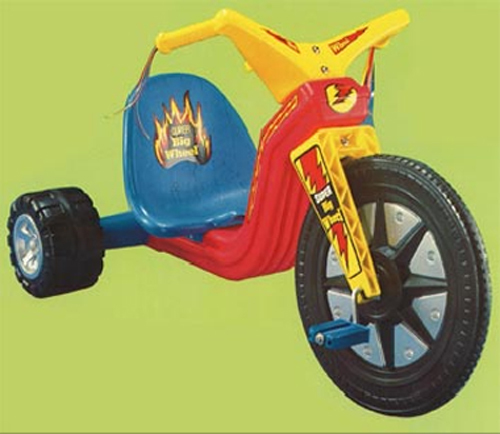 The Honey Bee Little Big Wheel. 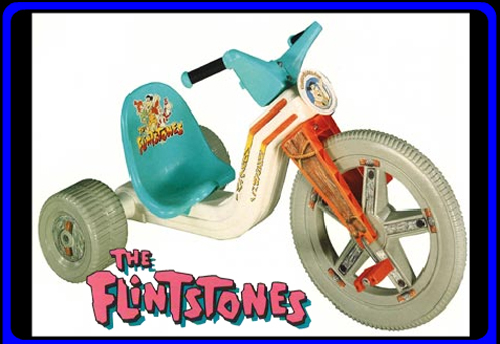 The Flintstones Big Wheel. 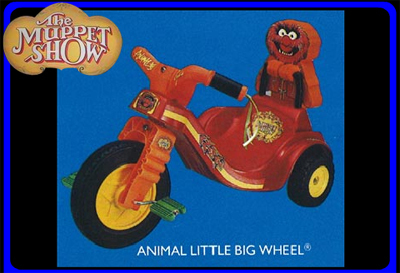 The Animal Little Big Wheel. 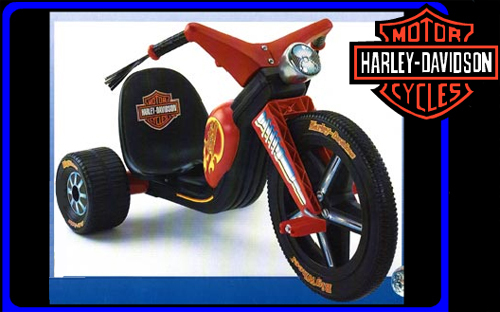 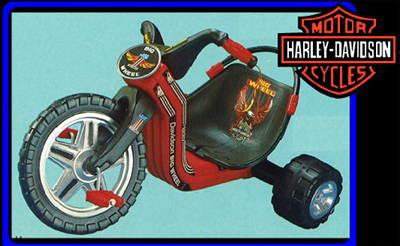 The Harley-Davidson Big Wheel. 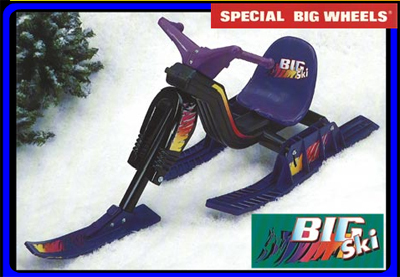 The Big Ski.